Mayor Robyn Tannehill visits with the Family Leadership Council at the spring 2018 meeting. Membership can be obtained through a minimum annual gift of $2,500 to the Ole Miss Family Leadership Council. We encourage parents to be part of the council for the entirety of their children’s college careers. 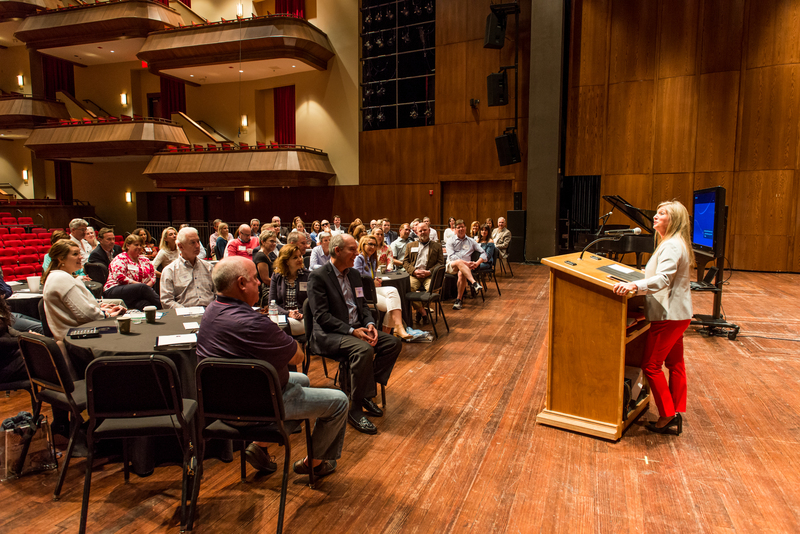 Fall and spring meetings continually feature new speakers and campus experiences. Families can join online at www.umfoundation.com/flc or mail in their membership gift to the following address: University of Mississippi Foundation • 406 University Avenue • Oxford, MS 38655. Please make checks payable to UM Foundation and include OMFLC on the memo line. For more information on joining the Ole Miss Family Leadership Council, contact Brett Barefoot at 662-915-2711 or bmbarefo@olemiss.edu. Become a member today!